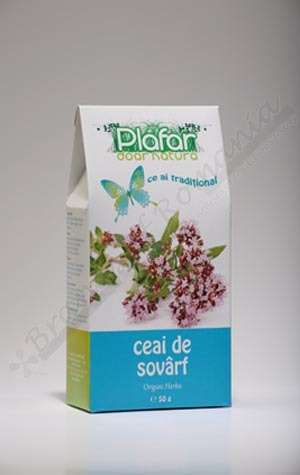 Oregano Tea – 50 g.
Ingredients: stems, leaves and flowers of oregano. Action: soothing expectorant and cough, respiratory tract disinfectant, antispasmodic, tonic, appetizer, stomachic. Application: states traditionally influenza, laryngitis, tracheitis, asthma, gastritis hypo colitis fermentation. Administration:2-3 cups / day, before meals as a digestive tonic after meals as a stomachic, between meals as an expectorant.